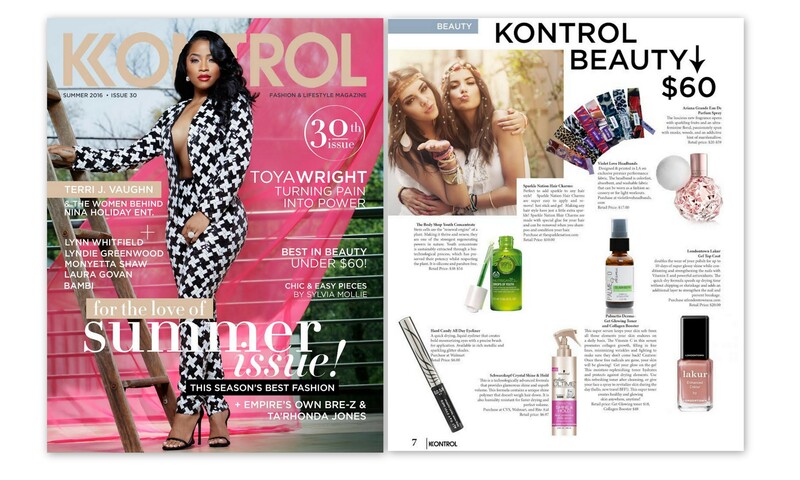 Congratulations to our Client Palmetto Derma for their feature in Kontrol Magazine! Get your glow on-the-go with Palmetto Derma! Their Rose Refreshing toner hydrates and protects against drying elements. Use after cleansing, or give your face a spray to revitalize skin during the day (hello, new travel BFF!). This super toner creates healthy and glowing skin anywhere, anytime! The Collagen Booster Serum keeps your skin safe from all those elements your skin endures on a daily basis. We’re talking sun, smoke, smog and other ugly skin damagers! These free radicals will try to infiltrate your skin and diminish collagen, but don’t worry. The Vitamin C in the serum promotes collagen growth, filling in fine lines, minimizing wrinkles and fighting to make sure they don’t come back! Caution: Once these free radicals are gone, your skin will be glowing! Find out more at palmettoderma.com!